Ayurveda (Ayur – Life, Veda – Science) is the ancient Indian, time-tested system of restoring and maintaining good health. We all have a unique mind-body type, made up of the three doshas, in varying proportions, called Vata, Pitta & Kapha. Most of us have both a predominant and secondary dosha. These powders can be used every day in drinks, smoothies or cereals to restore and maintain balance to mind, body and emotions. 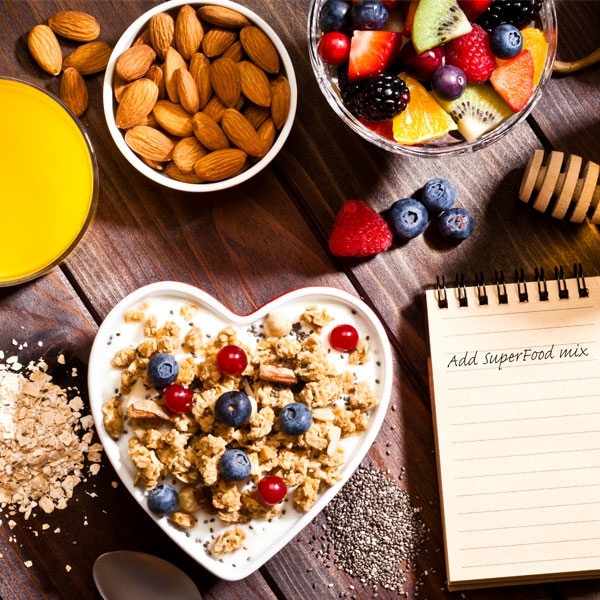 The SuperFoods powder that is best for you is the one for your pre-dominant mind-body type, either Vata, Pitta or Kapha. A very few people are tri-doshic with a similar amount of Vata, Pitta and Kapha in their type. However, they should find that they prefer one of the powders. In this case, the one they like and are drawn to the most is the one they should take. Designed in collaboration with Dr Brennan an Ayurveda practitioner with over 30 years experience. Like quite spicy foods and not much sweet food? • sleep deeply and is fine with less sleep than most others? • sometimes feel a little low or demotivated? • have a larger frame and large hands? • like exercise and enjoy sports needing some stamina? • learn slowly but remember very well? 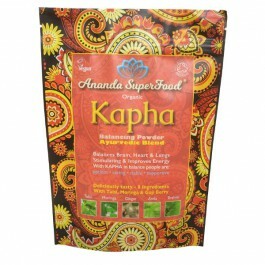 Kapha types tend to have well developed bodies with broad shoulders and soft, oily, lustrous skin. They have a regular appetite with a relatively slow digestion and like pungent, astringent and bitter foods, preferring warm drinks. Kapha types are patient, caring, stable and supportive. When out of balance, Kapha types are vulnerable to: Depression, greed, lack of motivation, weak digestion, lethargy. Developed with months of consumer trials and feedback, our nutritional bars contain Ayurvedic SuperFood powders. 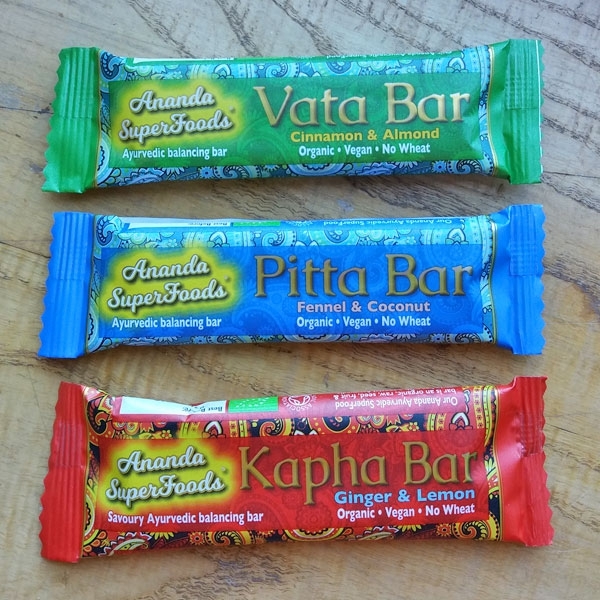 The Vata bar includes all six tastes, sweet, sour, salty, bitter, astringent and pungent, giving a fuller flavour and a feeling of completeness. The Pitta bar contain sultanas, raisins, coconut and fennel. The savoury Kapha bar contains basil, ginger and lemon. Most people prefer the bar that balances their predominant dosha. * All Organic Ingredients • Vegan • No Wheat. 1 to 5 heaped teaspoons (20g) per day on cereal, in water or juice. Suitable for children over 5, with half the recommended child dose of 10g per day, for children under 10. Do not exceed 50g per day. Made in a factory that handles nuts, seeds, milk, soya & cerials containing gluten.